The license plates cost $85 each with an annual renewal fee of $56.25. Personalized plates will run $116.25 with an annual renewal fee of $87.50. 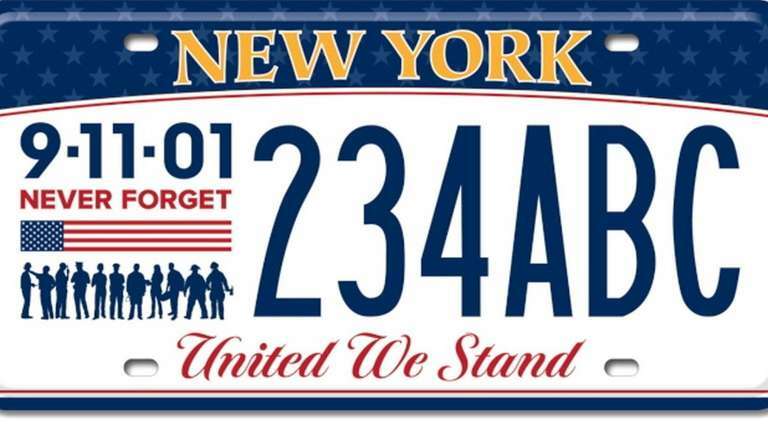 Nearly 18 years after the Sept. 11, 2001, terror attacks, New York State residents can now purchase a commemorative license plate honoring the victims and heroes from Ground Zero. The state Department of Motor Vehicles has rolled out red, white and blue license plates commemorating the nation's worst terrorist attack. The plates features the date, 9-11-01, with an American flag, silhouettes of rescue workers and first responders and the phrases "Never Forget" and "United We Stand." A portion of the annual renewal fee — $25 — will go to support the World Trade Center Memorial Scholarship Fund, which provides college tuition to the dependents of 9/11 victims and first responders. Gov. 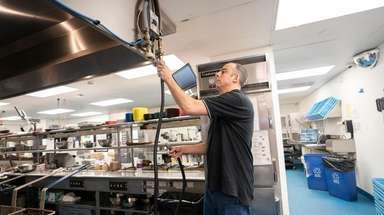 Andrew M. Cuomo last year signed a bill sponsored by Sen. Kenneth LaValle (R-Port Jefferson) and Assemb. Fred Thiele Jr. (I-Sag Harbor) authorizing the license plates. A total of 13 other states, including New Jersey, Connecticut and Virginia already sell commemorative 9/11 license plates. New Yorkers can order the commemorative plates at dmv.ny.gov, by calling 518-402-4838, by mail or at local DMV offices.